Because buying a home is an emotional experience, buyers frequently make their decision about a house within the first thirty seconds. Look at your house as though you are seeing it for the first time. Does it appeal to you? Would you buy it? 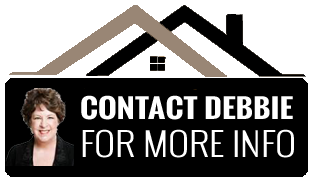 By following Debbie’s HOME ENHANCEMENT PROGRAM and expending a little extra energy, you can increase the “instant appeal” and saleability of your property. Plant extra flowers for color. Trim shrubs and upgrade landscaping. Repair driveway, sidewalks or step areas. Paint fence, patio enclosure or mail box if needed. Put away outdoor tools and equipment. Consider painting window trim and sash. Consider pressure washing house, sidewalks, driveway, patio, porch or roof if needed. Check roof shingles and down spouts. Clean gutters if needed. Clean garage/carport and storage shed. Replace old welcome mat with new, bright floor mat.